The first team played Nottingham High School and won 57 – 24. With great attacking play from the start Ratcliffe took an early lead. Aimee Cleminson and Ellie Hollinshead were feeding well into the attacking circle with Hattie Lawrie and Izzy Hose working well together to create plenty of shooting opportunities. The new combination in defence with Dalila Watson and Nicole Spencer worked well as they continued to make interceptions. Player of the Match goes to Dalila Watson and Coaches’ Player of the Match to Hattie Lawrie for fantastic shooting. 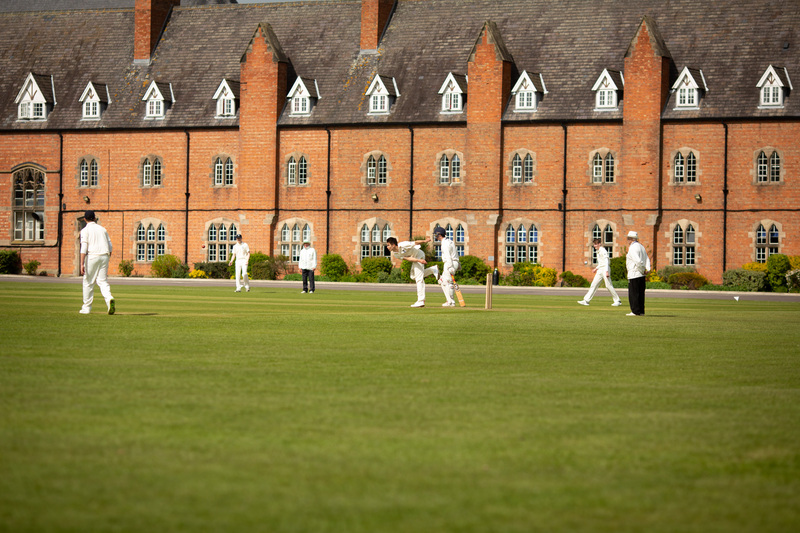 The 2nd team played Nottingham High School and won 24 – 4. The girls started off with some excellent attacking play, working in perfect synchronization to end the first quarter 9 – 0 up. After some fantastic interceptions and high shooting statistics the girls finished the game with a fantastic win. Coaches’ player was awarded to our newest member of the team Sam Diaz as a result of her strong attacking play and endless efforts to work back to help defend. Ratcliffe U15 A’s faced Mount St Mary’s in the first of two matches this weekend and won 19 – 17. In the 1st quarter Ratcliffe took a while to get started and trailed 9 – 1. After a somewhat stern team-talk at quarter time, Ratcliffe came played exceptionally well and fought for every ball and every pass. A very tightly fought game saw Ratcliffe victorious at the final whistle! Player of the Match goes to Elise Atkinson for her continued fight and never give up attitude. The girls then played Nottingham High School and won convincingly 36 – 1. The girls started off with some excellent attacking play with the shooters in the circle displaying some great ball and movement rotation. After some fantastic interceptions, unit work and high shooting stats the girls finished with a strong win. Player of the Match went to Annie-Rose Reddin for fantastic attacking and defensive play. Coaches’ Player was awarded to Rachel Astill for her fantastic shooting and movement in the circle. On Saturday, the U14s played a triangular fixture against Mount St Mary’s and Nottingham High School, winning both their matches. First up was Mount, though the girls started a little slow, they soon started to get in to their stride and managed to get a goal ahead. It was in the fourth quarter where Ratcliffe really dominated pulling ahead by five goals and winning 12 – 7. Players’ Player of the match was Talluah Wood and Coaches Player was Amelia Haggis. After a short break the girls played Nottingham High School. This was a much more physical game, and again the girls showed grit and resilience to come from behind to win 14 – 6. Players’ Player of the Match was Chelsea Makandeni and Coaches’ Player was Amelia Wells. An excellent weekend of netball, well done. The U14B team hosted Nottingham High School and won 12 – 6. The team were particularly strong in the defensive and center third and managed to maintain a lot of possession which the attackers were then able to convert into goals. Player of the Match goes to Shreya Patel after a fabulous second half at GD. Coaches’ Player of the Match goes to Matilda Miles for controlling the game at the center position. The U13A team won 22 – 13 against a strong Foremarke Hall side. The girls played some excellent attacking netball throughout the court with great link up between the shooters, backed up by some outstanding defending from Jessie Bardsley and Maddie Whalley resulting in plenty of turnovers. Player of the Match goes to Sophia Walker. The U13B team faced an away fixture against Foremarke Hall and lost 17 – 8. Foremarke started the match on the front-foot and controlled the first-quarter, resulting in a 4 – 1 lead at the break. Ratcliffe dominated the third-quarter with regards to possession but Foremarke limited the girls’ chances in the D, with the quarter ending 11 – 7. Foremarke extended their lead throughout the final-quarter and eventually finished the match as 17 – 8 victors. The girls should all be proud of their performances with both Romi White for her defensive work and excellent reading of the game, and Millie Woan for a brilliant performance. Player of the Match goes to Ruby Lord and Coaches’ Player of the Match to Millie Woan. The U13C team started off with a tough lose against Mount St Mary’s 10 – 1. The girls focused on attacking play and passing for the next game which resulted in a 9 – 4 win against Nottingham High School. Player of the Match goes to Marissa Smith. On Saturday, the U12A team travelled to Foremarke and lost 11 – 3. The girls struggled with the pace of the game. Milly Lake and Izzy Westwood worked well within the goal third to try and prevent the ball getting into the circle and in the third quarter only let in one goal. The girls worked hard to try to get in front of their players and make offers through court. Player of the Match goes to Izzy Westwood and Coaches’ Player of the Match was Milly Lake for numerous interceptions. The U12B team faced an away fixture against Foremarke and won 4 – 2. The girls controlled the game well gaining possession and taking the ball through the court. Ratcliffe did not give up and with great attacking play and shooting the girls took the win. Player of the Match goes to Olivia Monkhouse and Coaches’ Player to Lydia Haggis. The U12 Cs hosted Mount St. Mary’s on Saturday and unfortunately came away with a 5 – 3 loss. Player of the Match goes to Alice Bower and Coaches’ Player goes to Esha Patel for a fantastic game at WD. The U13As performed brilliantly in their away fixture against Worksop College and came away with an 8 – 1 victory. The boys started very well and were soon a few goals ahead. Unfortunately, after some great short-corner defence by Ratcliffe late on in the first half, the ball fell nicely for Worksop and the first half ended 4 – 1. After half-time, the boys continued to play excellently as a team and improved on their relentless performance, and the game ended 8 – 1 after a hat-trick from Harry Cregeen. Special mentions go to Oscar Webster and Ollie Pole for great work in defence. Player of the Match goes to Harry Cregeen for an outstanding attacking performance. On Saturday, the U12A team played their first 7-a-side match of the season against Worksop College and put in a clinical team performance to win 11 – 3. Playing some outstanding hockey in the process, they dominated the whole game. Coaches Player of the Match goes to the whole team and Players’ Player of the Match goes to Michael Joy who scored six goals in an excellent individual performance. forward Jonah Walker nicely throughout the whole game, who picked up a brace of goals himself. In the second half Ratcliffe turned the screw, and although they struggled to execute, they finished comfortable winners. Player of the Match was Lucas Barker. 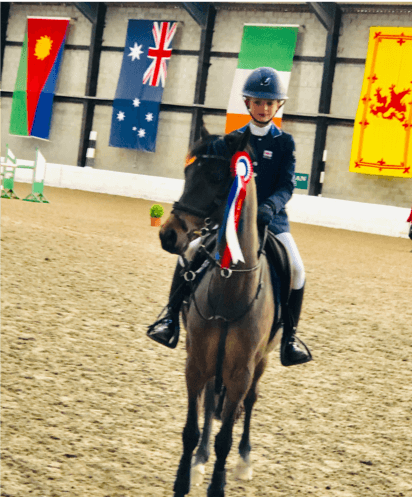 Congratulations to Tabitha Kyle, who competed at the Morris Equestrian near Glasgow in Scotland last weekend, for the second of the “Small Pony Premiers” The main aim of the Winter Premier shows is to qualify for the Royal International at Hicksted in July. If you qualify you get to jump in the main ring, – one of the most famous arenas in the world. Tabitha qualified two more ponies for Hickstead, (bringing her total to five) as well as winning five classes and numerous placings at the show.